Building on the success of “Fun Over Study” at AATC2016, the 2017 Agile Alliance Technical Conference in Boston will feature an interactive "Learning Lounge" that will be open throughout the conference. What is the Learning Lounge? The Learning Lounge is a designated space where conference attendees can gather to network with others, apply what they have just learned in conference sessions, or seek deeper understanding on specific topics. Those looking for a “fun” break from the conference sessions will be able to visit the lounge to engage in dialogue and interactive games based on agile technical practices. The lounge will be facilitated as an ongoing open space – a marketplace grid will be posted in the lounge and be updated throughout the conference. The marketplace will show the schedule of activities to be convened within the Learning Lounge. Some activities and games will be pre-scheduled; however, there will be open time for participants to self-organize discussions or coding activities in the lounge. A projection screen will be available for those interested in mob programming and/or further exploration of code shared in conference sessions. As events are added to the marketplace, they will be promoted via conference social media. Those attending AATC2017 to learn about specific agile technical practices or overcome specific technical challenges should visit the Learning Lounge to post specific questions they have in the “Technical Question Gallery” – this gallery is open to all to share questions or challenges related to agile technical practices. Throughout the conference, the gallery will emerge as advice and guidance is added to address the questions and challenges shared. Conference attendees are encouraged to visit the gallery throughout the conference as it only takes a few minutes to post a question or offer a bit of advice to help others in the Agile community learn and improve. New for the Learning Lounge at AATC2017 is the addition of a coaching clinic. Conference attendees will be able to sign up for a short coaching session with technical coaches, including some AATC2017 presenters, and then receive 1-on-1 advice. Those with specific questions on technical practices or just looking for general advice on how to get started with Agile and/or agile technical practices will want to take advantage of this opportunity to receive insights from experienced coaches and mentors in the coaching clinic. And as an added bonus, participants will be able to share key insights and learnings from 1-on-1 coaching sessions with others via the “Technical Question Gallery”. Coaching clinic attendees will be invited to post specific advice received and pass along appreciations for the technical coaches staffing the clinic in the “Technical Question Gallery”. Technical Practice PowerPoint Karaoke – Accept the challenge of having to describe technical practices like Test Driven Development, Lean UX, and Continuous Deployment using slides and images selected at random. Day in the Life: Technical Practices Edition – Think you know about Improv and Agile, think again. Join us for the return of “Day in the Life” where we see (literally) how life without agile technical practices can become quite awkward. Agile Technical Practices for Managers – Does your manager not support requests to refactor code, clean up tech debt, automate tests, or fix the broken build? Learn how to simulate these practices using non-technical activities so that managers and non-technical staff can better understand the benefits provided by agile technical technical practices. AATC2017 Game Jam – Up for a challenge? Let’s see if we can build a new technical practice game in the Learning Lounge at AATC2017. Brainstorming ideas for the focus of the game and then designing a high-level concept is open to all conference attendees. Watch the marketplace for specific times and working sessions. 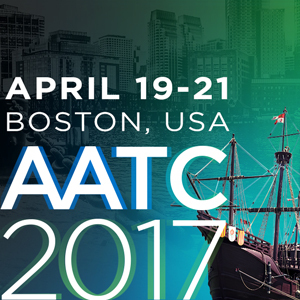 Don’t Miss It – The Learning Lounge at AATC2017! Scheduled Learning Lounge activities will not overlap with the conference program, so be sure to check out the lounge before or after conference sessions, during lunch, or in the evening (especially for games and fun activities) after sessions conclude for the day. AATC2017 attendees should refer to the Learning Lounge marketplace and conference social media to see the schedule of activities and be prepared to be surprised when visiting the lounge. You never know what you might learn via the activities to share and interact with others!